Meet or Dr. Kandaleft (General Dentist) Now open on Saturday! You’re invited to come and discover how Dr. Kandaleft can help you achieve that healthy, beautiful smile you’ve always wanted. What does a perfect smile mean to you? A perfect smile represents confidence and success, personally and professionally, as well as giving you a more youthful, attractive appearance. A perfect smile can also help improve your health, and keep you feeling good from the inside, out. Let us help you achieve your perfect smile, for a lifetime of health and happiness. At your first Orthodontic visit Dr. Kandaleft will complete a thorough Orthodontic examination to determine your Orthodontic needs. Our office generally schedules 45 minutes for this appointment to give the doctor ample time to evaluate the patient, as well as answer all of your questions. she may request a special orthodontic X-ray called a “panoramic” to help him diagnose the problems. All of the information gathered at the initial exam appointment is forwarded to the patient’s general dentist. If you are ready to start treatment, Dr. Kandaleft will be able to provide you with the cost of the treatment, a timeline for how long it will take, and a fee schedule to meet your budget. He will discuss options for achieving the best result, and will show you the braces and appliances he will use for your unique treatment plan. His treatment coordinator will schedule the series of appointments necessary to get you started, and will provide you with a completed Insurance Predetermination form before you leave the office. 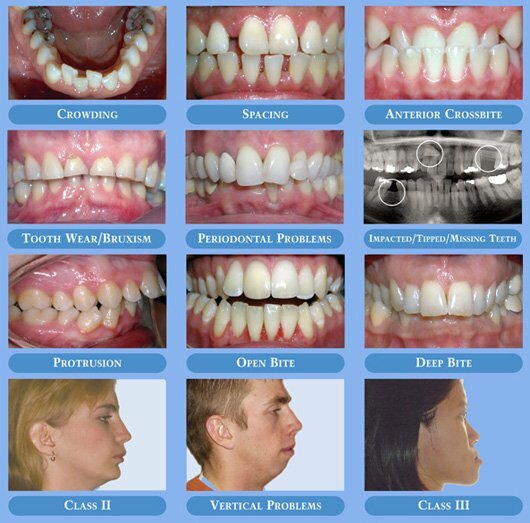 Orthodontic records are the next step towards getting your braces! This appointment is approximately 60 minutes long and will include X-rays and photographs of you and your teeth. Your Orthodontic records are used to diagnose your orthodontic problem more accurately so that Dr. Kandaleft can design a treatment plan specifically for you. If you are anxious to begin, we will usually offer to take your records the same day as your consultation to save you an extra visit. Before you are dismissed Dr. Kandaleft will review your X-rays and determine if you have any specific risk factors for Orthodontic treatment. An informed consent form will be provided so that you are aware of the problems you can encounter during your treatment. Dr. Kandaleft will be available to discuss any questions you may still have regarding your treatment. Our office normally schedules for your braces to be placed about two weeks after you have your Orthodontic records taken. This gives Dr. Kandaleft time to review and analyze your records and determine where and how the braces should be placed on your teeth. Because this is such a critical step in the entire process, Dr. Kandaleft invests time in the smallest details to achieve the best results. On the day that your braces are placed, you can be sure that every detail has been considered, including bracket positioning, bracket prescription, bracket type, and wire selection. Getting your braces on takes between 60 minutes to 2 hours, depending on whether Dr. Kandaleft decides to place both your upper and lower braces at the same time. One of our highly trained orthodontic clinicians will oversee the placement of your appliances, and will answer all of your questions as she walks you through the entire process from beginning to end. Every bracket is carefully positioned on each tooth following the detailed instructions outlined by Dr. Kandaleft. 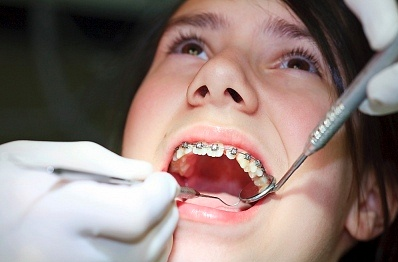 Once your braces are on, you will be given very specific instructions on how to care for your appliances. Keeping the teeth and gums clean and healthy during your treatment, and taking good care of your braces will help your Orthodontic treatment to proceed on schedule. Most of your future visits will be between 15 to 30 minutes in length, and we will try to schedule them at a time of day which is convenient to you. You may have been anticipating the end of your Orthodontic Treatment during the last few visits, and now Dr. Kandaleft has said that it is time to get your braces off. Once our office schedules the “de-bond visit”, it is important that you make arrangements with your Montreal Dentist to have a good cleaning, check-up, and fluoride treatment following the removal of your braces. Before you leave the office to show the world your outstanding smile, we will need to take a final set of Orthodontic Records. We will also make you a set of retainers to hold your teeth into their final position. Dr. Kandaleft will decide which retainer is best for you, and she will prescribe a protocol for wearing your retainers. 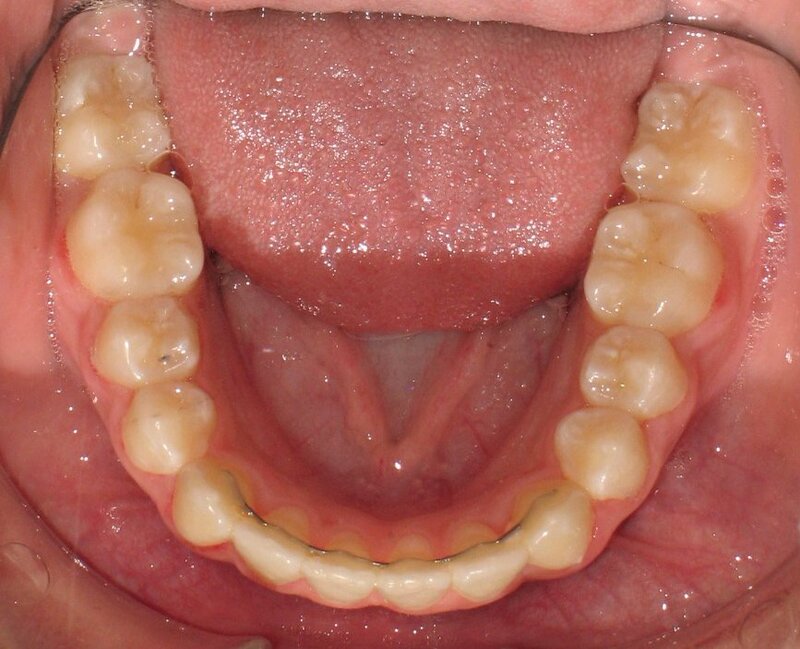 Most patients are advised that they should wear their retainers indefinitely in some capacity. The general rule is “wear your retainers for as long as you want your teeth to stay straight”.